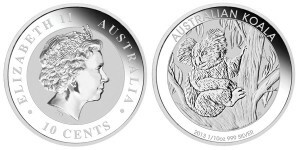 The Perth Mint of Australia has the unveiled the designs for the upcoming 2014 Australian Bullion Coin Programs. Strikes from these highly sought after programs will become available in intervals over the next five months. 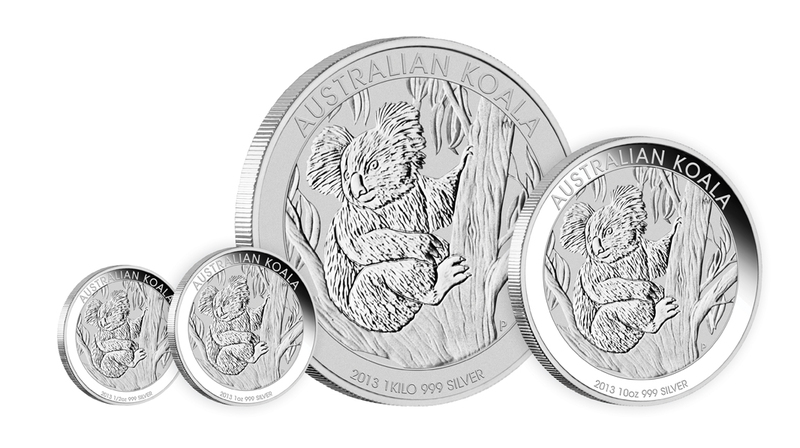 The Perth Mint of Australia has released a new option in one of its most popular series. 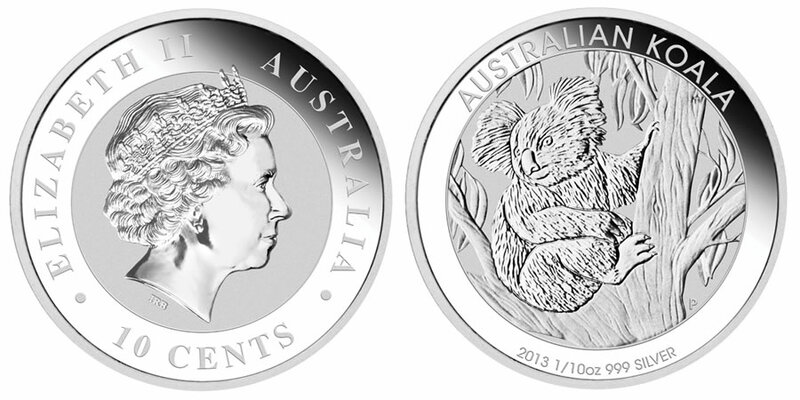 Available now for ordering is the 2013 Australian Koala 1/10 Oz Silver Coin. The Perth Mint of Australia has announced that the entire mintage of 2013 Year of the Snake 1 oz Gold Bullion Coins and 2013 Year of the Snake 1 oz Silver Bullion Coins has sold out. This will come as a surprise to many as the coins were only released for sale to the public beginning on September 3, 2012. Currently available from the Perth Mint of Australia is a four-coin set containing strikes of the Australian Lunar Series II program. 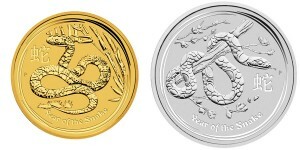 The 2013 Year of the Snake Silver Coin Typeset Collection contains four different Year of the Snake coins each struck from one ounce of 99.9% pure silver. The Perth Mint of Australia will release the 2013 Australian Koala Silver Bullion Coins for sale to the public beginning on November 5, 2012. 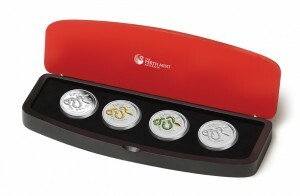 Four different sized coins will be issued as part of the release, each struck from 99.9% pure silver. 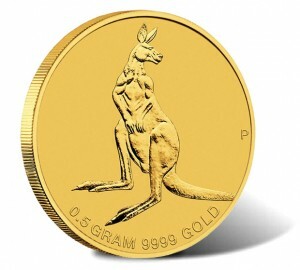 The Perth Mint of Australia has released the newest annual installments of its popular Lunar Series II program. The 2013 Year of the Snake Gold and Silver Bullion Coins are available now for order. 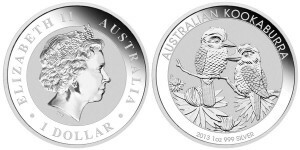 The reverse designs and release dates for the bullion 2013 Australian Kookaburra Silver Coins have been announced by the Perth Mint of Australia. 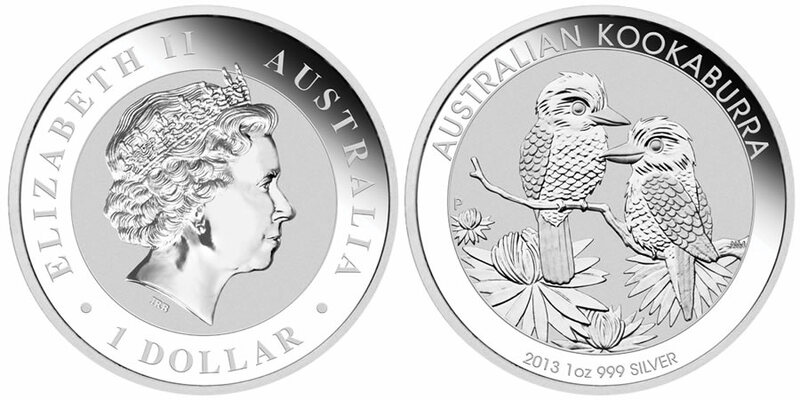 The 2013 Kookaburra Silver Coins will be available for purchase beginning on September 3, 2012 in three different sizes. 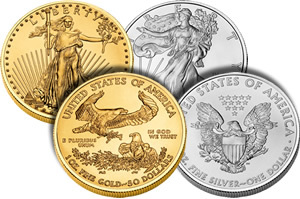 The United States Mint will begin accepting orders for the 2012 bullion Gold and Silver Eagles tomorrow, January 3rd, 2012 from its network of authorized purchasers (APs). The announcement of the debut of the 2012-dated coins was made in a memo last week to the APs and also included additional details as well as alluded to anticipated sufficient supplies of the bullion Eagles. 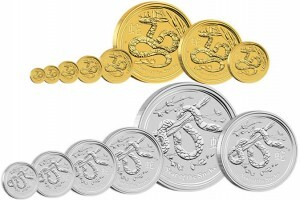 Sales of the 2012 American Eagle Gold Bullion Coin and the 2012 American Eagle Silver Bullion Coin will begin on Tuesday, January 3, 2012 according to the United States Mint. 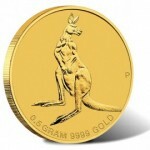 On that date, the Mint will begin accepting orders for the bullion Eagles from its network of Authorized Purchasers.